When it comes to marketing a mobile DJ business there’s no ‘silver bullet’, no secret recipe or shortcut to success. Raising awareness, building a brand reputation and filling a bookings diary takes time and persistence. Whether you’re just starting out, or already have a successful business but want to grow it even further, the intention of this article is to provide inspiration for possible new marketing activities to try. Not so long ago, advertising a DJ business was as simple as putting a small add in the Yellow Pages or local newspaper and waiting for the phone to ring. Now, in the digital age, successfully generating enquiries requires a broader approach. Engaging in a variety of, often interlinked, marketing activities is essential for reaching potential clients, enticing them to make contact and eventually to book your services. Some of the following ideas may seem obvious, while hopefully others you won’t have previously considered. If your business is already established, you may already be engaged in many of these activities and others may not be right for your particular service and market, but I’m sure you’ll find one or two new ideas to try. It's much easier to advertise a specific service to a smaller market than trying to be all things to all people. Decide what you enjoy and what you’re good at, then focus all of your marketing efforts on attracting the right kind of clients for the right kind of bookings. Providing geographic and demographic targeting, this can be a very affordable way of reaching potential clients online, just be sure to include a strong ‘call to action’. Come up with a brief strapline that describes your business to include in all marketing materials under your trading name. This should summarise what your brand stands for and aim to differentiate your business from its competitors. ‘Fun & Memorable Wedding Entertainment’; ‘Edinburgh’s Children’s Party DJ’; and ‘Peterborough’s Premier Party-starter’ are all good examples. While this one may seem obvious, it’s amazing how many DJs don’t carry good quality business cards; make sure you have them, they have your up-to-date contact details and you have them with you at all times – you never know when you might meet your next potential client! An essential tool for marketing any product or service these days, make sure your website is aesthetically appealing, provides the information that potential clients will be looking for (without being overly cluttered) and works just as well when viewed on a phone, tablet or computer. A great, and cost effective, way of meeting lots of wedding couples, just be sure to choose your Wedding Fairs carefully and follow-up all leads thoroughly. In this online digital age, a well-designed and professionally-produced printed physical brochure can help you to stand out from the crowd. Have them handy to give out if you are approached by a prospective client at an event, take them along to sales meetings and even send them out in the post to ‘hot leads’. Most experienced DJs could tell any party organiser a thing or two about making sure their event runs smoothly and is enjoyed by all; sharing your knowledge and advice with potential clients in the form of a blog is a great way of establishing yourself as an ‘authority’ and also increasing your website’s search engine rankings. If you DJ for children’s parties, a great subtle way to market your service is to offer free party invites with every booking. Parents will love this, as it saves them from having to buy them separately, and you can get them printed in bulk fairly cheaply. Simply include your business name and contact details on the bottom and your details will be delivered directly to parents who are also likely to need to plan a party for their child soon. While there is an argument that it also serves as a notice to potential thieves that expensive equipment may be stored inside, there’s no getting away from the fact that having your vehicle sign-written is a great way of taking your marketing message to every venue you visit – in fact everywhere you go! Advertising in magazines for brides can be a good way of promoting wedding DJ services, just be sure to select the right publication to reach the type of brides you want in the right area. Also be sure to include a strong call to action and measure the number of responses you receive. Want to ensure your website is found by everyone in your area searching Google for the services you offer? This is the sure-fire way to do it, and it may cost less than you think. An old sales adage is that ‘people buy people’ and, for mobile DJs, I definitely think this is true. Potential customers will want to know what you look like, so investing in a professionally taken good-quality headshot photo for your website and other marketing material is definitely worthwhile. Local radio advertising may not be as expensive as you think and it’s a great way to raise local awareness of your business. 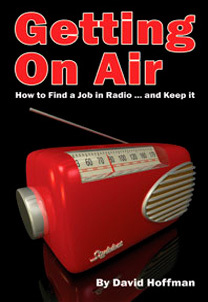 With a strong call to action, radio advertising can be a good way to generate leads. A great way of staying connected with past clients and keeping at the top of their minds is to put together a regular e-newsletter about your business. Make sure this is interesting for the recipients and keep the sales content to a minimum; write about exciting news involving your business and new trends in your specific niche or area. Dropping leaflets advertising your services through people’s letterboxes is an old-fashioned, but still potentially effective, way of targeting a specific geographical area. If you’ve got a low budget, but plenty of spare time, it’s well worth considering. Putting up posters at local shops and on community notice boards is an easy and cost effective way to generate local exposure for your business. Include links to your website and social media accounts, as well as your strapline and possibly a testimonial or two, in your email signature. This means that every email you send acts as an advert; and you never know who could be forwarded one of your emails! The old saying ‘a picture paints a thousand words’ is definitely true when it comes to promoting a mobile DJ service. Your marketing materials will be much more effective if you have professionally taken photos of you in action playing to a packed dancefloor. If you have a good relationship with a local photographer, they may be happy to do this for nothing more than a credit on your website and your recommendation, especially if you’re both working at an event together anyway. Writing snail mail letters offering your services to places such as schools, pubs and hotels can be a good way of attracting new clients. Due to the high cost of postage these days, it isn’t cheap; and from my experience response rates are reasonably low. But if you’re able to pick up just a couple of new regular clients, which then lead to referral bookings within those areas, it may prove worthwhile. While it’s not often a good idea to work for free, it may make sense to occasionally donate your services to an event raising money for a good cause. If the evening is well attended and attracts your target customers it could be an excellent opportunity to showcase your service to potential clients. It can also be used as good local PR and provide something for you to write about on your blog and/or e-newsletter. If you DJ at school discos, handing out flyers to all of the children at the end can be a great way of generating bookings for birthday parties. This works especially well if you can build up the school disco to a big finish; parents will come in at the end, see their kids having a great time and then, when they come out with a leaflet offering the same thing for their party, booking you will seem like an obvious choice! Getting to know other DJs well, either through association meetings or less formal gatherings, can lead to work being passed your way when your friends are already booked. Having a good network of likeminded local colleagues can also prove useful if you experience equipment failure and need to borrow a spare or fall ill and need to find a stand-in to cover one of your gigs. Offering a free PDF publication on your website can be a great way of building your e-mail list and also provide a good ‘call to action’ for your other marketing efforts. Spend some serious time putting together something that will be of real interest to your prospective clients and that asserts you as an expert in your chosen field. Setting up a page on Facebook has become pretty much the norm for all businesses these days, both big and small. A Facebook page can provide a great way of keeping in touch with existing customers and showcasing your services to new ones; just don’t expect instant results. You’ll need to work hard at putting up good content and inviting people to ‘like’ your page to make it effective. The full review can be found in Pro Mobile Issue 78, Pages 28 - 32.